« Google I/O 2013 is happening now! Microsoft’s plans to not be able to share games etc has been wiped out, they bent to pressure from the masses. Release date November 30th. Canadians can pre-order from Xbox console, more info here. Have a look inside Microsoft and the Xbox One! Link here. Also Engadget gets a hands on preview of the Xbox One. As the writer mentions, there is still a lot unknown, so make sure to check back! So those 300,000 servers that Microsoft added for Xbox One will not only help make multiplayer games awesome and store save games and states, they will also help make the game look better? Gizmodo has a big article on all the new features of the Xbox One. One things I read, which is slightly alarming for all you gamers out there, Xbox 360 games will not work on the new Xbox One. The new architecture is what is responsible for the fast switching between apps and content. But it also means it’s not backward compatible with older Xbox games. Microsoft did not address this at the show, but it’s been speculated that it will use game streaming, like the PS4, to play older games on the new hardware. We’ll update you once we get a chance to shake down some Microsoft employees. I am wondering if Microsoft will make available games you prove you own (maybe inserting the disc) available for you to download a copy that is modified to at least work on the new Xbox, lets hope they have something like that in the works. 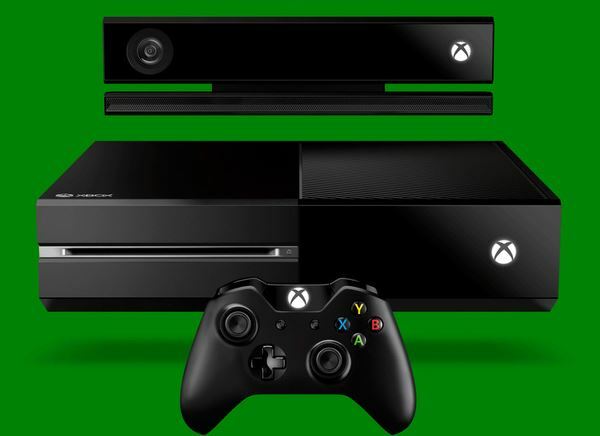 The Xbox One will be available later this year, I gather we will know more in a couple months at the next E3. As always stay tuned for more updates as they come in. Well that was unexpected, Microsoft just showed off some crazy cool stuff… instant flipping from games to movies to TV and back, all instantly… the Kinect sensor can apparently read your heartbeat when you are exercising! 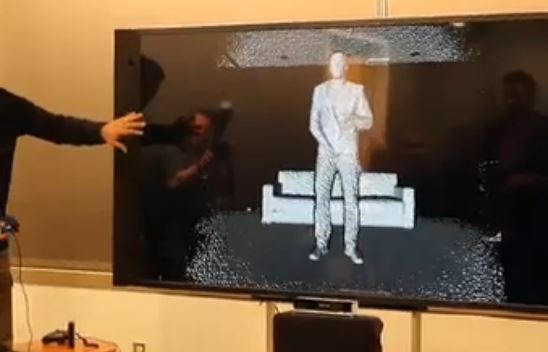 2GB of data per second are used by the Kinect sensor. The battery compartment is more flush, there’s vibration built into the triggers, and yes, a new D-pad. The skeleton is more precise, as is 3D sensing. It can even read your heartbeat! Other neat controller features are, raising the controller, raises a shield, will be used for other game controls. Native game recording, editing, and uploading. Really amazing stuff. 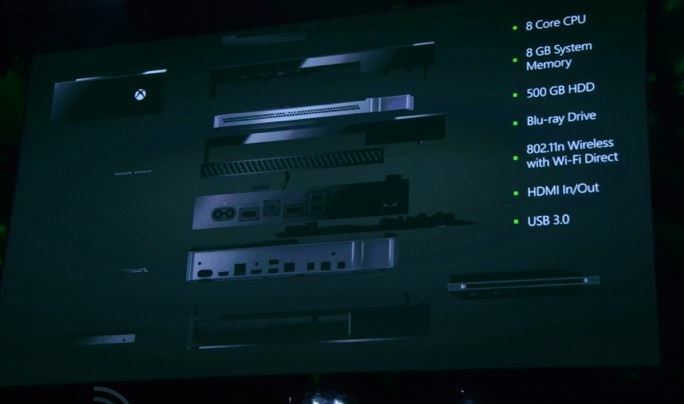 Xbox is also presenting via a live video feed. Go and check it out!